This post has been updated to include the latest Tony eligibility rulings. Filming is complete on the Twin Peaks Showtime "reboot," and the cast has been revealed. Among those who'll appear in the limited series are Oscar winning-musician Trent Reznor (The Social Network); Naomi Watts; Eddie Vedder; frequent David Lynch collaborator Laura Dern (Wild); Virginia Kull (Assistance, The Affair); original Twin Peaks stars, Kyle MacLachlan and Russ Tamblyn (that would be Riff, from West Side Story); and others. Visit Facebook for the full cast list, and Rolling Stone for a brief analysis. Shuffle Along, or, The Making of the Musical Sensation of 1921 and All That Followed is a long title. It is also a perfect title because it aptly describes act one, Shuffle Along, and act two, all that followed. For Eugene O'Neill's Long Day's Journey Into Night I give you a short review. The long journey is a day in the life of O'Neill's stand-in family, the Tyrones: patriarch James (Gabriel Byrne); matriarch Mary (Jessica Lange); older son James Jr, or Jamie (Michael Shannon), and younger son, Edmund (John Gallagher, Jr.), who is, most agree, O'Neill himself. (The Tyrone family maid, Cathleen (Colby Minifie), is also around here and there.) In this personal work, O'Neill revisits his family to work through, understand, or maybe exorcise something from his past. 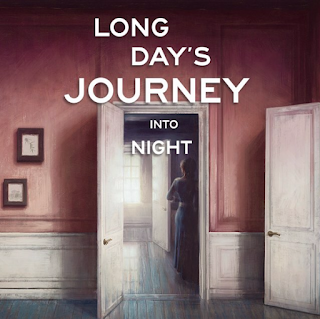 Maybe's it's his tumultuous relationship with his father or brother, or maybe (probably) it's his elusive mother, who, in Long Day's Journey Into Night, is a dope fiend who slips in and out of reality. New York City Ballet is back in full swing. For the first of my five ballet outings this spring, I got to see four ballets, three of which I hadn't seen in at least two years. We began with Bournonville Divertissements, which was paired with La Sylphide last spring. These are selections from August Bournonville's repertoire, and feature music by Holger Simon Paulli and Edvard Helsted. (Based on Bournonville's choreography, Bournonville Divertissements was originally stage by Stanley Williams; it was later staged for NYCB by Nilas Martins.) As divertissements should be, all four movements are presentational, mostly meant to be pretty and pleasant and fun. It's been said before, including on this blog, but it's the truth: music is better than words. 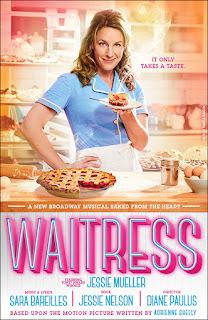 I remember when the Adrienne Shelly movie Waitress, starring Keri Russell, came out. There was buzz around it, and around Russell's performance, yet I never saw it. In anticipation of this musical adaptation, I watched the movie a few months ago, and was underwhelmed. I thought it was just fine, but remembering the buzz around its 2007 release, I couldn't understand the enthusiasm. But there's something that music can do that nothing else can, and that's why telling a story with music—that is, musical theatre—is such an incredible art form. To no one's surprise, Hamilton won the Pulitzer Prize for drama this week. 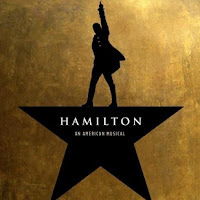 Hamilton is only the ninth musical to win the Pulitzer, after Of Thee I Sing, South Pacific, Fiorello, How to Succeed in Business Without Really Trying, A Chorus Line, Sunday in the Park with George, Rent, and Next to Normal. The finalists in the same category were Branden Jacobs-Jenkins's Gloria and Stephen Karam's The Humans, which is now on Broadway. Visit pulitzer.org to see the full list of Pulitzer winners and finalists in all categories. 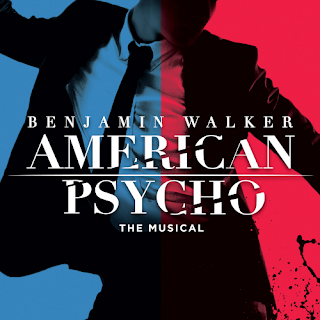 I had never read Bret Easton Ellis's novel, American Psycho, but I had seen the movie, liked the movie, and was excited for the musical stage adaptation. I walked out of American Psycho the musical thinking that it was too sanitized. I was expecting something bloodier, more gory, more violent. The next day, I re-watched the movie (I had never returned the videotape). While there were a couple more violent sequences, and the violence felt more intimate (and therefore more brutal), it wasn't the Tarantino-esque blood fest I remembered. And so while I realize my expectations were unfounded, I find I'm ambivalent about this production. There are elements to praise, but it doesn't thrill like a thriller should. In much the same way John Hughes and his films captured the 80s teenager, novelist Ellis captured the late 80s yuppie. That flush urbanite who was too cool for school, snorted cocaine out of boredom, and went on a killing spree after hours.